Rojone has been one of Australia’s leading Coaxial Cable assembly manufacturers for over 30 years. The arrival of our new CNC Bending machine has significantly increased our capability to produce volume, state-of-the-art semi-rigid cable assemblies and delay lines suitable for microwave, military, RF, and telecommunications applications to 18GHz. 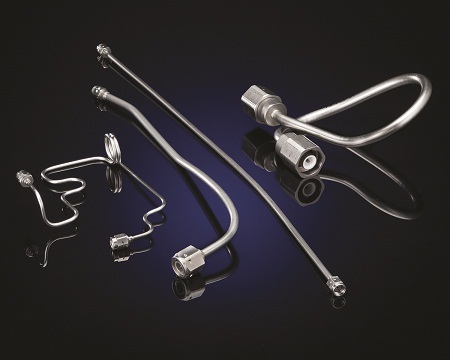 Semi-rigid coax cable assemblies are typically used in ground and airborne radar systems, satellite and terrestrial wireless communications equipment, high bandwidth data communication equipment, medical imaging apparatus, test equipment, electronic warfare and to connect to microwave antennas. As communications bandwidth and imaging resolution increase, higher frequencies, power handling & shielding are very important factors. These applications require excellent durability, phase stable performance, low attenuation, high signal fidelity and the ability to handle more power. Semi-rigid coax meets these requirements and is ideal for high temperature, high power applications while maintaining excellent phase stable performance and minimising VSWR. Semi rigid is especially significant in tactical environments where high shielding and shock or vibration tolerance is critical. Rojone offers .047, .086, .141 and .250 inch diameter cables, bare copper, tin-plated copper and aluminum sheath which is 30% less weight than copper jacket, all terminated to high performance SMA, APC, N, BMA & more RF Coaxial connectors by IPC 620 Certified Technicians. All assemblies are 100% tested; sweep testing is also available to ensure identical electrical properties for each assembly. We would also high recommend all cables are temperature cycled through our environmental chamber, depending on your specifications; this normalise the cable dielectric ensuring optimum performance and overall stability. Hand forming semi-rigid assemblies is definitely a skill; only the most talented technicians are used to create these unique high performance assemblies. 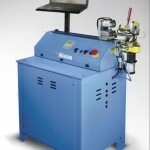 While this process is used by most small to medium production facilities, the technique is really only suitable & cost effective for low volume prototyping or production. With this in mind, Rojone decided that it was time to increase its capabilities & competitive edge by investing in CNC Automated equipment to produce volume, high performance Semi-Rigid Assemblies that are internationally price competitive. Rojone’s new RD5 CNC Bender is impressive. It produces 3 axis bends fast, accurately and repeatably directly from customer’s CAD or STEP files, using the full range of qualified Mil-C17 semi-rigid coax cables. The RD5 bends semi-rigid cable using a rotary wipe process. 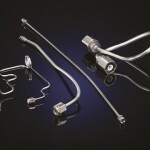 This technique has proven to be the gentlest bending technique on the semi-rigid cable providing for excellent signal transmission when the cable is in its final assembly. The collet closer that holds the coax during the bending process is designed specifically to grip yet be gentle on the cables outside jacket. 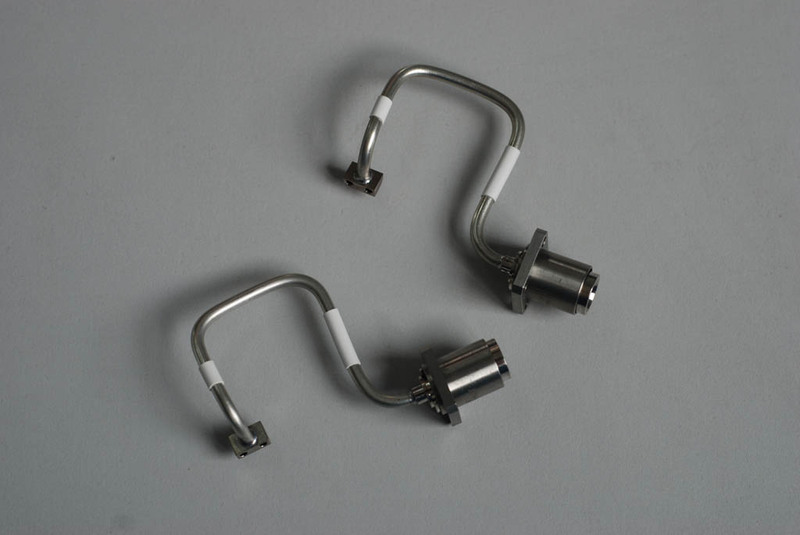 The design of the carriage spindle allows the end of the coax cable to get right up next to the bend tooling on the very last bend. This often translates into avoiding a trimming operation after bending. In addition to the CNC Bender, we also purchased an AM40 digital protractor designed to measure the bend angle of small tubing/semi-rigid coax & sheet metal. Its measuring range is from 0 to 360 degrees in increments of 0.1 degrees. It uses a high-resolution encoder to ensure the repeatability of the bend angle measurement. The digital readout, displayed in large numerals, updates continuously to show the real-time bend angle. This tool is ideal for measuring the first semi-rigid assembly run off the CNC, to ensure that the programming is spot on and more importantly to adjust the program to compensate for any spring back resulting from different cable batches. 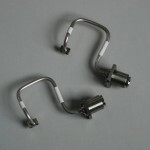 Employ a single common bend radius. Avoid the cable minimum bend radius for improved electrical performance. Define cable assembly “ends” with respect to the connector reference plane in lieu of the physical end of the connector. In the case of right angle connectors, utilise the connector centre-line. Avoid specifying specific vendor part numbers for connectors unless absolutely necessary. Specify electrical performance testing only in bands of interest and only for critical performance tests. Excess electrical testing, while nice, also becomes expensive. Where possible, do not design bends-on-bends. A design tool may allow this, but it often proves difficult to realise practically. If designing a phase matched assembly, be sure to consider “forming areas”. These are “open” areas in the system that allow the “take-up of variations in cable length as a result of phase matching. Specify thermal-conditioning only when necessary. Usually this is only needed for phase sensitive applications as this has a cost impact. With over 30 year of coaxial experience, the team at Rojone are confident in our ability to offer our clients design, drafting & prototyping assistance for any prospective assembly requirement and we are ultimately your competitive partner when it comes time to manufacture. « Times-Protect® LP-SPT™ RF Lightning Protection Tester Now Available!